When building deep learning models, it is often required to check the model for consistency and proper parameters definition. 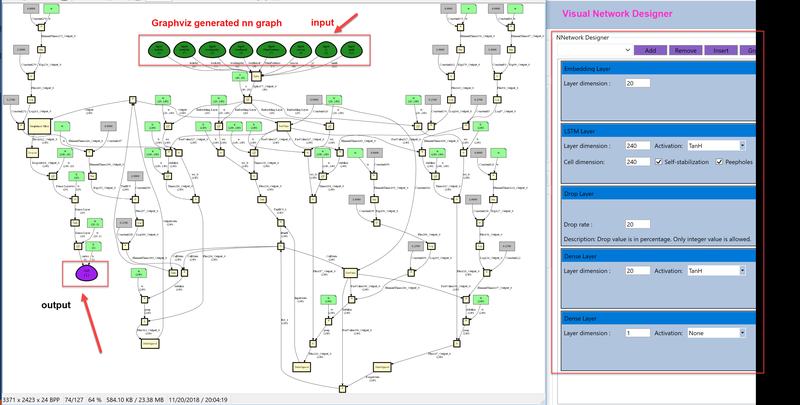 In ANNdotNET, ml network models are designed using Visual Network Designer (VND), so it is easy to see the network configuration. 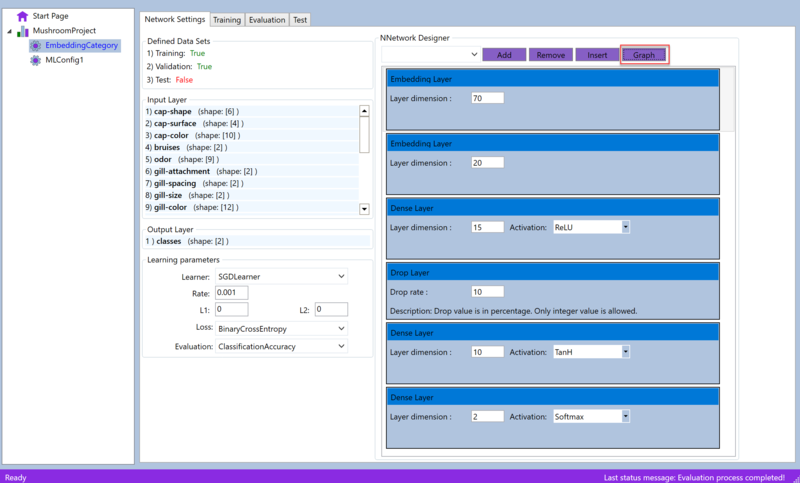 Beside VND, in ANNdotNET there are several visualization features on different level: network preparation, model training phase, post training evaluation, performance analysis, and export results. In this blog post we will learn how to use those features when working with deep learning models. Since ANNdotNET implements MLEngine which is based on CNTK, so all CNTK related visualization features could be used. The CNTK library provides rich set of visualizations. For example you can use Tensorboard in CNTK for visualization not just computational graph, but also training history, model evaluation etc. Beside Tensorboard, CNTK provides logger module which uses Graphviz tool for visualizing network graph.The bad news of this is that all above features cannot be run on C#, since those implementation are available only in python. 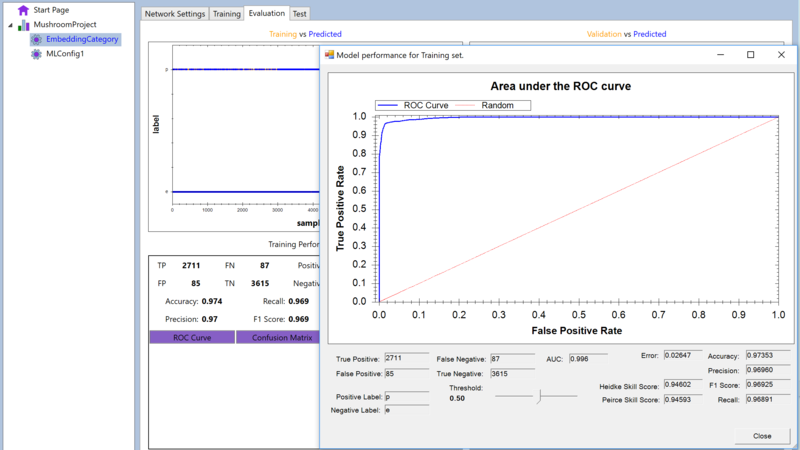 The graphs are generated during training phase, so the user can see what is happening with the model. This is of tremendous help, when deciding when to stop the training process, or are training parameters produce good model at all, or this can be helpful in case when can stop and change parameters values. 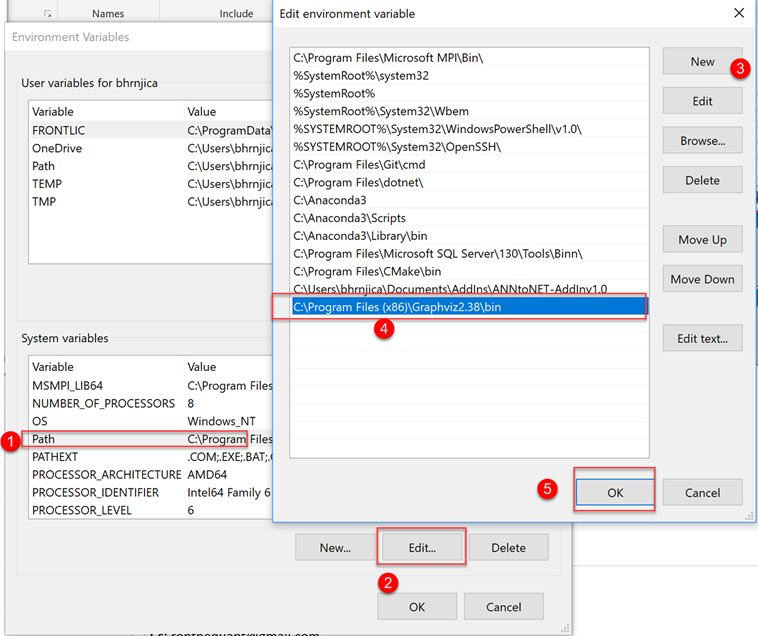 In case we need to stop the training process immediately, ANNdotNET provides Stop command which stops training process at any time. In case you like this nice visualization features go to http://github.com/bhrnjica/anndotnet, download the latest version from release section or just download the source code and try it with Visual Studio, but don't forget to give a star.